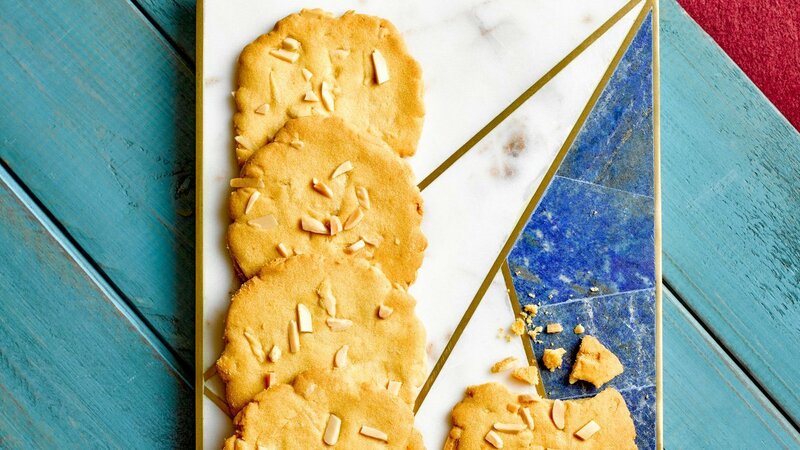 This recipe puts a local twist on an all-time favourite - the crispy almond cookies. Delightfully mixing the addictiveness of salted egg into almond cookies, this new, yet familiar taste makes it the ideal snack for all. Using a kitchen mixer, add in plain flour, sugar, salt and mix well. Add in margarine to mix until fluffy. Gradually mix in the salted egg powder till soft pliable form. Add in almonds and mix well. Set aside. Portion the dough into 8gm per piece and place onto a non-stick baking tray. Bake in 160°C for 9mins. Let it cool down before serving or packaging.